We visit our county courthouse for many reasons: driver licenses, vehicle registration, taxes, voting, and court cases. But these stately buildings also contain treasures waiting to be discovered: generations of local history and genealogy, art and architecture - and a few surprises! Join the treasure hunt! How sharp are your research skills? Try downloading the courthouse facts spreadsheet or searching the website for answers to the following questions. Follow the links to check your answers. 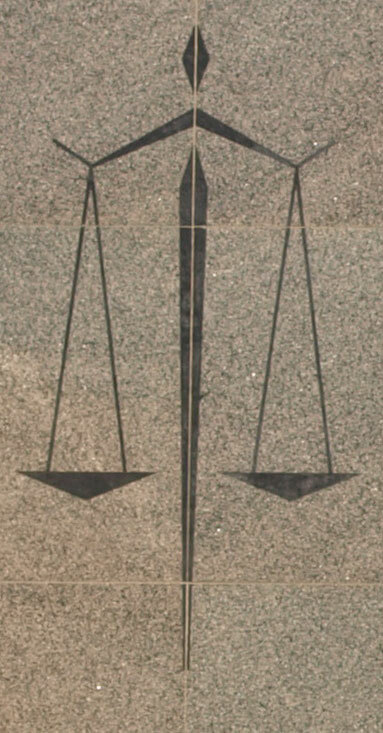 Which courthouse displays the scales of justice in this photo? 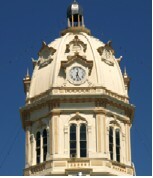 What county's clock tower is featured in this photo? Which courthouse has this wrought iron work on the windows? Which courthouse has this intricate carving?